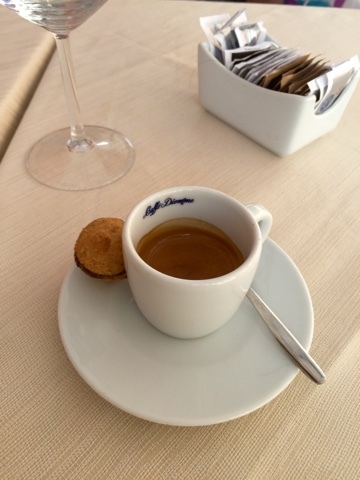 We were getting hungry after a fair amount of walking. 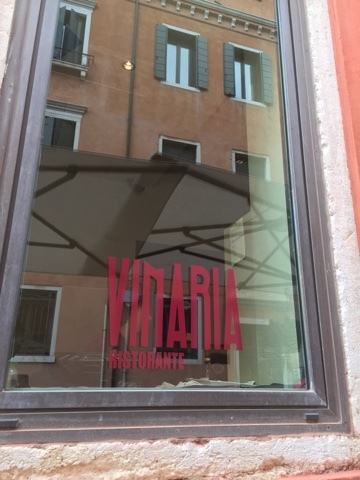 A quick glance at our Trip Advisor app revealed Vinaria, a well-reviewed joint nearby the San Silvestro vaporetto stop. 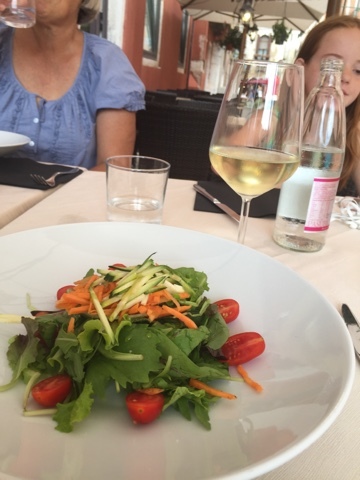 For 15 Euros each, we two enjoyed a salad, spaghetti, glass of wine and espresso. 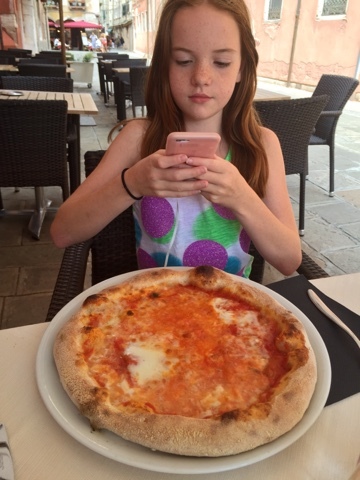 For eight, Avery enjoyed another pizza Margherita. 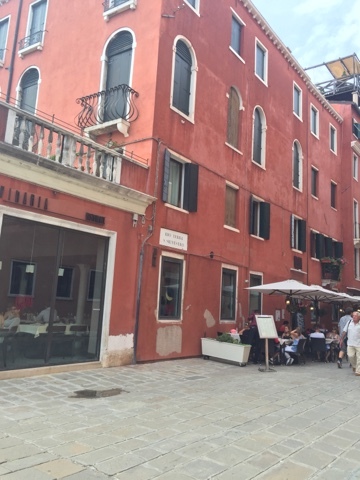 Given the relative value of the currencies, that struck us as close to a bargain in the midst of touristy Venice. It even rained briefly (our coolest day of the trip so far- Yippee!) but that didn't scare us inside. 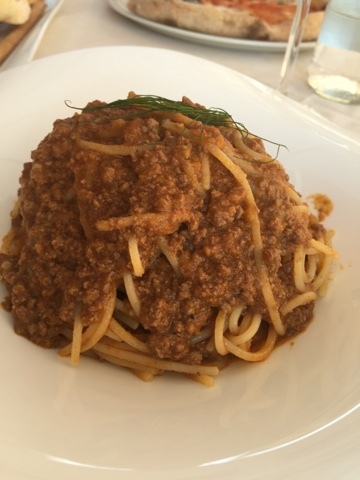 We'd return here any time we're in the neighborhood.